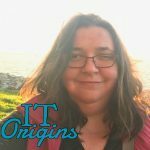 Welcome to IT Origins, a new interview series from Gestalt IT. Each Thursday, we’ll be talking to IT engineers, entrepreneurs, executives, and other luminaries about how they got started in the industry. We’re interested in hearing their perspective on how IT has changed throughout their careers, what the best and worst trends are, and sharing some recommendations. For our first week, we’re talking to Phil Gervasi. He’s a podcaster, teacher, and senior network engineer. You can follow him on his blog, on Twitter, and his podcast, Network Collective. I’ve been in IT about 10 years. This is my second career after having been a high school English teacher for about five years. I loved being a teacher and still love being in the classroom as an adjunct at a local community college, but after a few years I was bored with teaching Julius Caesar and a Tale of Two Cities each year. I know that I could have changed my units year to year and tried different things to stay interested and keep things fresh, but ultimately I was anxious to do something that challenged me differently and that was more lucrative. I wanted more ownership over my career path. One particular summer I set up a new computer lab for the school for which I worked, and I remember really enjoying getting my hands dirty and figuring out why things didn’t work. My father-in-law is a data storage expert for a government agency, and after hearing me complain about the new school year and how I enjoyed setting up the computer lab, he suggested I look into IT as a potential career change. Maybe a year later I took a sales position at a national IT training company and took advantage of the free classes and courseware. I earned a Network+, CCENT, and a few entry-level Microsoft certifications which all helped me get my first helpdesk position about a year later. After only 6 months in the helpdesk position I earned a CCNA which helped me land a higher level helpdesk/junior engineer position at a regional VAR, and the rest, as they say, is history. I kept learning and climbing and haven’t looked back except for reflecting with gratitude on the opportunities I had. One big change in IT over the last decade that I’ve personally experienced is the shift toward software as a service. I’m sure others would give very different answers to this question, but I haven’t seen any deep and fundamental changes to infrastructure technologies. What I have seen, however, is a change in the paradigm of how we consume IT services. Whether that means simply moving a certain workload to some cloud service or embracing a completely compostable service-oriented software model, this one change has changed the way enterprises do IT. On a personal level, I’ve been experiencing the pressure of having to keep up with the pace of changing technology in order to stay marketable and relevant. I don’t know if this was the case 20 years ago before I was in this field, but from the late 2000s to today in 2017, I’ve noticed the pace quickening. In my opinion, one of the worst trends in IT is probably the increased incidence of vaporware and vendors marketing technologies that don’t exist or at least don’t exist in a practically useful way. I think one of the best trends in IT today is the adoption of machine learning in infrastructure operations. What was once only an academic endeavor was not too long ago adopted by data scientists and today is a growing part of traditional infrastructure operations platforms. Maybe this is out of necessity due to the growing size and increasing complexity of networks, or maybe this flows from the ever-increasing mission-critical nature of IT infrastructures. In any case, the benefits of utilizing machine learning algorithms gives IT access to data that would be prohibitively difficult to obtain if able to be obtained at all. Furthermore, machine learning forms part of the foundation for artificial intelligence, which, for all intents and purposes, I feel is still in the early stages of the hype cycle as it relates to IT. I can’t live without Slack. It’s really the best collaboration platform out there. Maybe there’s something better, but until I discover it, Slack is an excellent way for me to chat, share files, have private conversations, group conversations, ad-hoc discussions, etc. I also use Trello, but this is for my personal life, which I sort of consider a company of one. What I mean by that is I have a day job, sure, but I also have daily tasks for Network Collective, for the classes I teach, writing engagements, and tasks for my personal website. We use Trello at work to an extent, but I’ve found it very helpful to organize all the tasks and projects I have going on that span all of my work and personal endeavors. Years ago I used my Inbox as my task list with folders and various rules, but I’ve abandoned that method a long time ago. However, I have enough things going on that I really need to list my tasks for the next day so I can start each morning strong with no confusion as to what I need to get done that day. I simply spend a few minutes toward the end of the day or sometimes very early in the morning writing out my tasks for the day in order, if possible. This may sound prehistoric to some, but it’s helped me tremendously in staying focused throughout the work day. My ideal workspace is very quiet with a lot of natural light preferably from large windows looking onto a natural setting. I’d want full access to the thermostat, nearby access to snacks and water as well as plenty of really big monitors. I’m a very social person, but when it comes to getting work done, I like things to be very quiet. I can create this type of workspace when I work from home, but currently I work in a traditional office. What I do in that case is open the blinds to allow sunlight in, make sure to always have a cup of coffee or water at my desk and snacks like almonds or crackers available in my drawer. I use my headphones mostly as a signal that I’m not available for chatting, and it seems to work very well. Book recommendations for other IT pros (besides The Phoenix Project). What are you reading now? Right now I’m reading the Master and Commander series by Patrick O’Brian. It’s utterly amazing, and when I finally grow up I want to be a naval captain of a tall mast warship in 1803. The Mythical Man-Month: Essays on Software Engineering, by Frederick P. Brooks, Jr. The Cuckoo’s Egg: Tracking a Spy Through the Maze of Computer Espionage, by Cliff Stoll. This is a cool hacker book from the 80s. The first computer my family owned was a Commodore 64, but the first computer I owned personally was a used Compaq SLT 286 laptop that my dad gave me. The first desktop I ever owned myself was some sort of 10 MHz 286 computer. I’m active in my church, I spend quite a bit of time with family activities, I do a significant amount of writing, though that’s mostly about IT lately. I manage several rental properties, I enjoy doing yardwork, and I just got back into lifting weights a few months ago. I used to play music instruments constantly, but I haven’t picked up one of my guitars in quite a while. That’s something that I’d like to bring back to life. My wife and I have been getting San Francisco Bay coffee for a few years. It’s very strong and rich, and I prefer it to almost any other coffee I’ve had. I make two cups or one large mug every morning with my Keurig. After a dinner party I like a cup of espresso, and on the road I prefer Dunkin Donuts or coffee from a local convenience store in the northeast called Stewart’s Shops. I haven’t been to Starbuck’s in years (on purpose). I drink too much coffee. Recently I’ve cut out afternoon coffee, but even before noon I typically have four or five cups. Nick Russo and Mike Zsiga. They’re both incredible network engineers, Marines, and near geniuses in my estimation. This bit of advice was given to me years ago, and I don’t remember who gave it to me. However, Denise Donohue put it very succinctly in a recent Network Collective podcast when she explained that in our field, we are each a company of one. I treat my career that way. I own my own professional development, career trajectory, and seek to diversify streams and forms of income.